While Egypt is the most informed of the number of pyramids there are in the country (80), all the historic castles and mansions in France have been registered, and Google even knows the number of space scrapes revolving our planet, no one has yet decided to devote his life to the task of counting the Pagodas in Myanmar. There are so many of them that a human life is probably too short for the counting job. The only thing certain is that there is no other place with more Pagodas in the world. The country, stretching 2,500 kilometres from the eastern Himalayas in the north to palm-lined beaches of the Andaman Sea, Pagodas are encountered at every step. 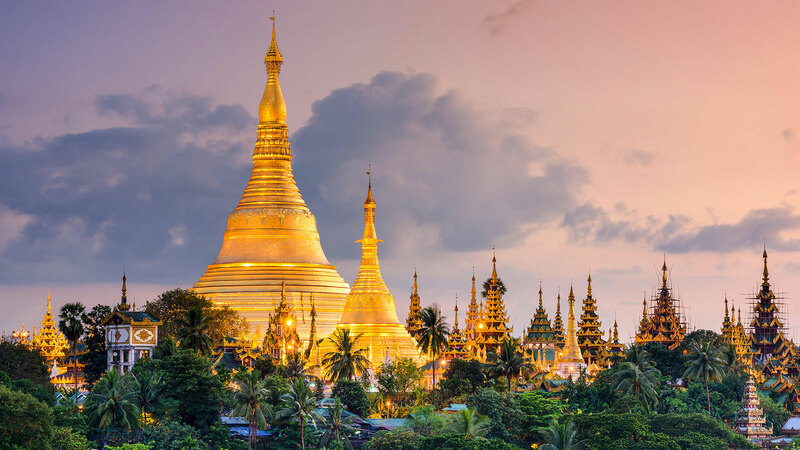 The National landmark, Yangon’s 2500-year old Shwedagon Pagoda, receives 15,000 to 20,000 visitors a month. 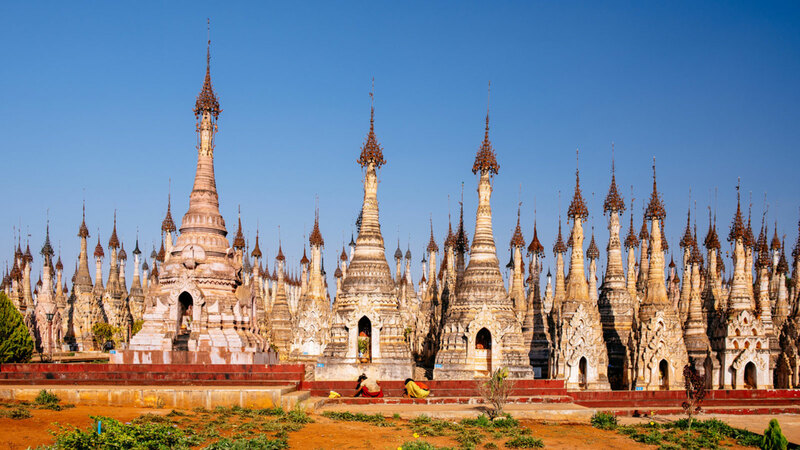 The structures, which differ in size, colour and decoration, reflect the deep rootedness of the Burmese people in Buddhism, which had already entered the country during the lifetime of the Buddha (Siddhartha Gautama). It also appears to have connected the many different ethnic groups of the indigenous population in the 2500-year long history of Myanmar, which has often been invaded for its strategic location. It is assumed that the first Stupas and Pagodas were already built in the first century before Christ. They are supposed to contain the mortal remains of the Buddha and his followers, and are modelled to reflect the alms shells of monks. While Myanmar is currently undergoing a new phase of change, and many new buildings appear in the cities, the golden peaks of the Pagodas and Stupas as unique landmarks of the nation can still be seen on the horizon, no matter where you are in the country.